According to local sources, a civilian identified as Sayed Khader Mohammed was killed in an artillery bombardment on the village of al Sarajiya. Three sources, apparent carbon copies of each other, reported that a civilian was killed “as a result of artillery bombardment”, but did not identify a culprit. Samidon Press stated that the individual perished and others injured as a result of artillery shelling by “SDF militants”. This was supported by a number of sources, including a tweet from Suhaib al Hasskawi, who clarified the location of the village in a reaction to a posed question: “South-east of al-Hasakah on the Syrian-Iraqi border, the area of the Tu’aiman which is still under the control of the islamic state organization”. Marsad al Hassaka also reported “mass destruction of civilian property” as a result of Coalition airstrikes. In a separate report, the source stated that “shells by Kurdish units” had also struck the village. Both Coalition airstrikes and SDF artillery shelling on al Sarajiya were reported by Shaam News. It is important to note that the SDF was not known to have had access to artillery at Deir Ezzor. The Coalition did not publicly report any strike in Syria for July 1st 2018. From June 27th to July 3rd, Task Force Wagram conducted six artillery shooting missions against the last pockets of ISIS in the Euphrates Valley. Since the launch of the offensive on May 1st, it’s conducted 168 shooting missions. Over the last week, French aircraft carried out 21 sorties – but once again no airstrikes were conducted. According to local sources three to four civilians were killed by artillery or airstrikes, injuring up to 18 others near the sheep market of al Soussa. Al Soussa Youth reported “a very violent bombardment of rocket launchers” on the sheep market and nearby houses. According to the report, “more than ten missiles” resulted in large clouds of smoke, while drones were flying overhead. In a later report, Al Soussa Youth identified a number of civilians that were killed in the attack: Sa’ad Hashim al-Khudair al-Suwa’yi (possibly killed as he left an internet shop) and two sons of Ali Khalif al-Hasan al-Shahani – according to Baladi, one of them was still a child. In a video following these reports, Al Soussa Youth would note that the victims were sitting on a veranda when they were killed. According to the official Facebook page for al Soussa, rockets had struck Al A’liyat mill, near the house of Hussein al-A’kla and confirmed the death of the three civilians, adding that women and children were also injured. Deir Ezzor 24 was the first source to note that “aircraft believed to be affiliated to the Coalition” were responsible for the civilian casualties. Al Haall also said that the Coalition was responsible for “killing four civilians and injuring more than 18 other, some of them critically”. The outlet quoted Faisal al-Sayyed, who noted that “most of the shells fell next to the Osman mosque”. Euphrates Post however stated that the rockets originated from “forces of the Assad regime stationed in the city of Abu Kamal”, targeting the town of al Soussa “yesterday evening”. The Syrian Observatory for Human Rights also concluded that the “violent explosions” that shook al Soussa were caused by “targeting by the regime forces”. Baladi made mention of a fourth “unidentified body” of a person killed in the bombardment. The report stated that it was not the Coalition or pro-regime forces, but the SDF’s artillery and missile fire which were responsible for the incident. According to the media outlet, “local media sources” had informed them that “sdf forces shelled dozens of rockets in the town of al-Sousse […], killing four civilians and injuring others, mostly women and children.” Sadaa al Sham and Al Araby al Jadid also identified the SDF as the culprit. Al Ghad al Souri noted two separate strikes on the city. The first, by the US led Coalition, targeted and killed ISIS leader Abkhadijah al Jazairi [the Algerian] in a residential area of al Soussa it said, noting that three civilians also died. A second action by regime forces then killed and injured civilians near the sheep market. For July 24th, the Coalition did not publicly report any air or artillery strike in Syria, asserting: "There were no reported strikes conducted in Syria on July 24, 2018." For July 18th – 24th, France report just two artillery shooting missions by Task Force Wagram in the Euphrates Valley. There have been a total of 197 missions since the offensive began on Maty 1st. French aircraft carried out 29 sorties in support of ground forces but there were no airstrikes. Local sources reported that alleged Coalition airstrikes hit the village of al Sha’afa, either killing two civilians or injuring “several”. Step News also identified the US-led Coalition as the culprit and reported that a house in Al Sha’afa was shelled, killing two people. Deir Ezzor24 tweeted a video, stating that it showed the “great destruction in the homes of # civilians caused by the bombing of warplanes on the town of # al Shaafa # Rural Deiralzur”. It did not however make mention of any casualties as a result of the bombardment. The Coalition at the time publicly reported no strikes in Syria on this date. For July 26th, the Coalition did not publicly report any airstrikes in Syria, asserting that "There were no reported strikes conducted in Syria on July 26, 2018." Local sources reported the death of two or four civilians after missiles struck aid vehicles near the town of Al Soussa. Baladi News reported instead that two civilians were killed (possibly within the town and therefore a separate event), while adding that others were injured. However, the report stated that the civilians were harmed by “the fire of the regime forces and their artillery”. It said a further two civilians were shot dead by regime forces as they attempted to cross the river. The Syrian Observatory for Human Rights also noted that “two shells landed on areas in al-Susah town” but did not identify a culprit and stressed that there was “no information about casualties”. The Coalition publicly reported at the time that “On July 27 in Syria, Coalition military forces conducted six strikes consisting of seven engagements against Daesh targets. Near Abu Kamal, six strikes destroyed one Daesh fighting position and damaged three Daesh lines of communication." One child was killed and her mother was wounded in an airstrike on Al Sousse, local media said. Most sources blamed the US-led Coalition, though there was one allegation against the regime. According to the Syrian National Movement, “a female child was killed and her mother was injured by the International Alliance shelling the town of Sousse”. The pair were said to have originally lived in Abu Kamal. Step also said a girl died and a number more civilians were wounded in Coalition strikes. Al Soussa Youth said that the raids occurred on the shops of Ahmad al Turki and Mohsen al Turki. For August 6th, the Coalition publicly reported no strikes in Syria, asserting: "There were no reported strikes conducted in Syria on August 6, 2018." Local sources reported that one or more civilians were killed and injured in a bombardment on Al Bagouz. One victim was specifically named. 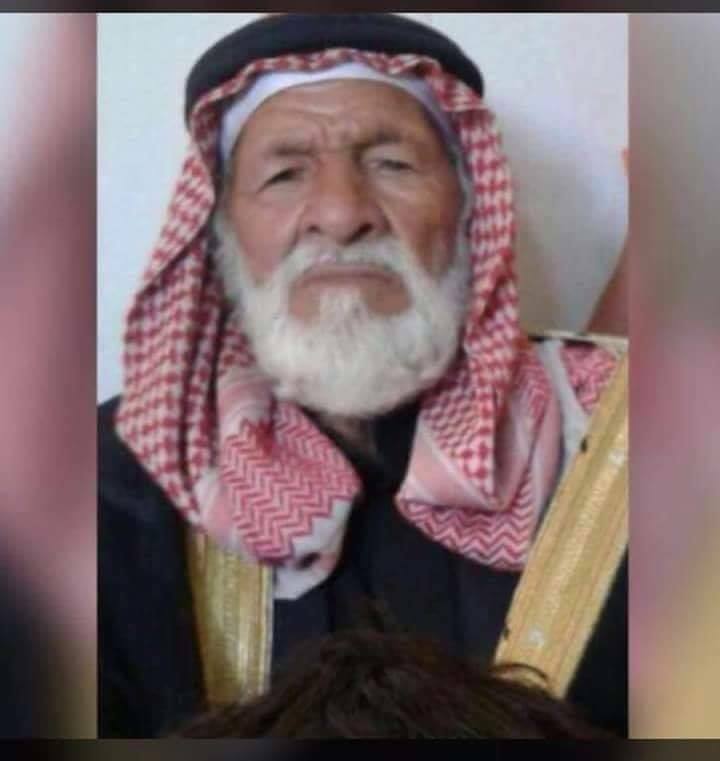 Deir Ezzor 24 and the Syrian Network for Human Rights stated that a named adult civilian male Najem Hassan al-Saleem was killed by ‘SDF artillery shelling’ on the village. It is important to note that it is Airwars’ understanding that only the Coalition had access to artillery in Deir Ezzor. @Alahmed_nasser claimed in a tweet that in fact the French military was shelling the town with artillery. Al Shaafa reported dead and wounded civilians as a result of “a hysterical artillery bombardment on the entire town of Bagouz”, but did not identify the culprit. According to a Halab Today correspondent, the Coalition was instead responsible for “martyrs and wounded civilians as a result of air raids”. Step News Agency also noted that the “International Alliance launched several air raids targeted the town of Al-Bagouz”, though the outlet did not make mention of any civilian casualties. The Coalition stated that “On September 12 in Syria, Coalition military forces conducted 14 strikes. Near Abu Kamal, 14 strikes [1 British?] engaged 11 ISIS tactical units, and destroyed seven ISIS supply routes and one ISIS command and control center." Wednesday 12 September – a Reaper killed several terrorists in combat in eastern Syria…A Reaper supported the SDF on Wednesday 12 September as they mounted an offensive towards Abu Kamal, at the southern end of the one significant remaining pockets of Daesh-held territory in eastern Syria, near Hajin. Daesh fighters were observed in action on the outskirts of a village to the east of Abu Kamal, throwing grenades and firing a machine-gun. The terrorists took cover beneath the overhang of a building, but the Reaper’s crew were able to guide a Hellfire missile very accurately to strike them. For the 2nd straight week, Dutch F-16s fired weapons on ISIS targets. The Dutch MoD reported that between September 6th-12th, jets targeted a weapon storage unit in one mission near Hajin. Aircraft supported ground troops in DE and Iraq in 9 missions. For Sept 12th-17th, France report that Task Force Wagram has carried out 22 artillery ‘firefights’ from Iraq this week. Aircraft conducted 19 sorties but there were no strikes. Local sources reported dead and wounded civilians after “artillery and missile shelling” on the outskirts of Al Soussa. However the SDF had no known access to artillery, suggesting that the Coalition was responsible. Deir Ezzor 24 tweeted a similar report, but did not identify the culprit. Almanar instead claimed that the civilians had been harmed after coming under attack from rocket propelled grenades. The Coalition reported the following: “On September 13 in Syria, Coalition military forces conducted 12 strikes consisting of 15 engagements against ISIS targets. Near Abu Kamal, 12 strikes engaged three ISIS tactical units, and destroyed nine ISIS supply routes, four ISIS fighting positions, one ISIS compound, one ISIS sentry location, one ISIS staging area and one ISIS counter battery fire and damaged one ISIS compound and suppressed two ISIS mortar firing points." For the third consecutive week Dutch jets deployed weapons. Aircraft targeted ISIS storage units during 2 missions in Deir Ezzor governorate and near Abu Kamal. Between September 13th-18th, F-16s supported ground troops during 9 missions in Deir Ezzor and Iraq. For Sept 12th-17th, France report that Task Force Wagram has carried out 22 artillery ‘firefights’ from Iraq this week. Aircraft conducted 19 sorties but there were no airstrikes.